- Product Weight: 25 gram. - Product Size: 11.5 x 11 x 7cm. Product Size: 14.5 x 18 x 7cm. These squeeze are best in finishing and quality approved by professionals before supplying in the market. These glass squeeze are reliable and completely safe to use. work up to 20% faster with washer and squeegee in one tool.features water wells for high water retention.quick spring release for easy blade change. 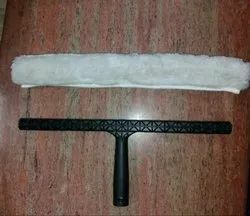 Being a trustworthy enterprise, we are offering a distinguished array of a Stainless Steel Window Squeegee. The squeegeeoffered by us is extensively appreciated in the industry for its sturdy construction and sturdiness. 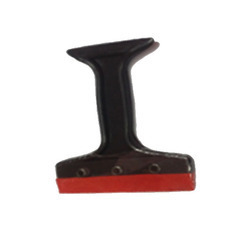 Apart from this, our offered squeegee is examined by our quality experts for assuring its excellence.